Telemetry, or wireless communication, is a useful tool for real-time environmental monitoring. Common telemetry options are cellular and radio, though satellite telemetry can be used in more remote locations. The deciding factor when determining the most cost-effective telemetry option should be the local site conditions and proximity to a project computer. All three of these options permit real-time updates regarding water quality during a dredging operation. 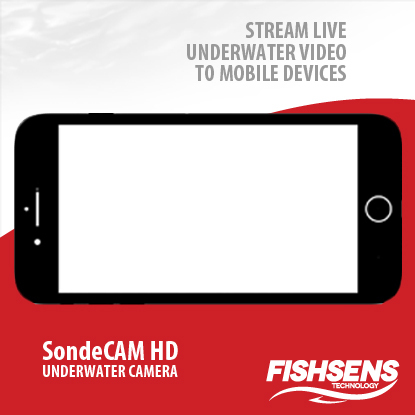 Radio telemetry is recommended when all equipment is in close proximity. If equipped with a license-free spread-spectrum radio, a data logger can communicate with a shore-side radio base station. This range may vary depending on the logger and base station used. Spread-spectrum radio technology may allow a range as far as five miles (line-of-sight) or a few hundred feet (non-line-of-sight). The radio base station serves as a central hub for any buoy-based data logger in range, with the ability to send the collected data to a project computer. In a typical system, sensor data would be stored locally on a data logger or network of data loggers. The base station would then send data to a cloud-based datacenter to be viewed and monitored at the convenience of project managers. Cellular telemetry offers more geographic flexibility than radio, though it does require a cellular data plan. This small, additional cost permits data transmissions from anywhere that receives a cellular signal. With cellular telemetry, monitoring stations do not need to be in close proximity, nor is a shore-side base station required. Instead, all the data can be accessed wirelessly via the Internet. Data loggers may be equipped with cellular modems from different providers, including AT&T, Verizon, and Sprint. 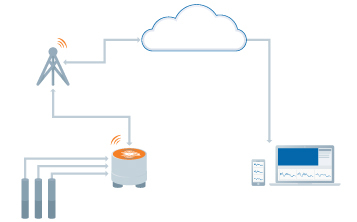 In a typical system, sensor data would be stored locally on a data logger and sent to a cloud-based datacenter through a cellular network based on a user defined schedule. For remote applications where radio and cellular telemetry are not feasible, satellite telemetry can be used. The Iridium communications network maintains a dynamic, cross-linked constellation of Low Earth Orbiting (LEO) satellites, providing coverage all over the world. This means that data loggers with an Iridium satellite modem can transmit data in real-time from anywhere on Earth. 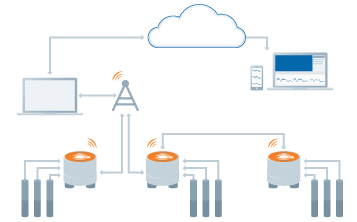 As with cellular networks, the data is sent to a central gateway, which then transfers the data over the Internet to any project computer or cell phone. 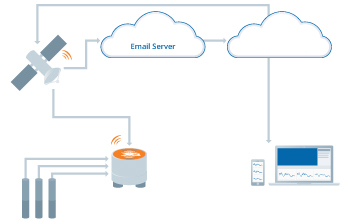 In a typical system, sensor data would be stored locally on a data logger and sent to a to a email server via the Iridium company. A cloud-based datacenter would then pull the data out of the email server based on a user defined schedule. Fondriest Environmental, Inc. “Telemetry.” Fundamentals of Environmental Measurements. 23 Oct. 2014. Web. 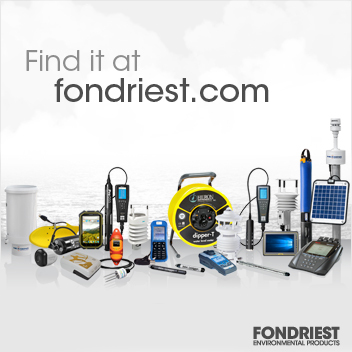 < https://www.fondriest.com/environmental-measurements/monitoring-equipment/telemetry/ >.